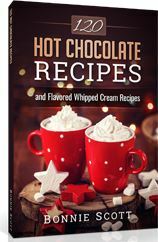 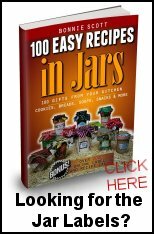 Marshmallows can be a charming and frugal gift. 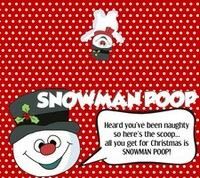 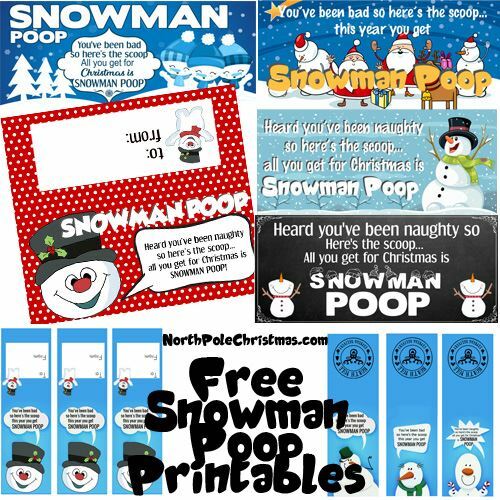 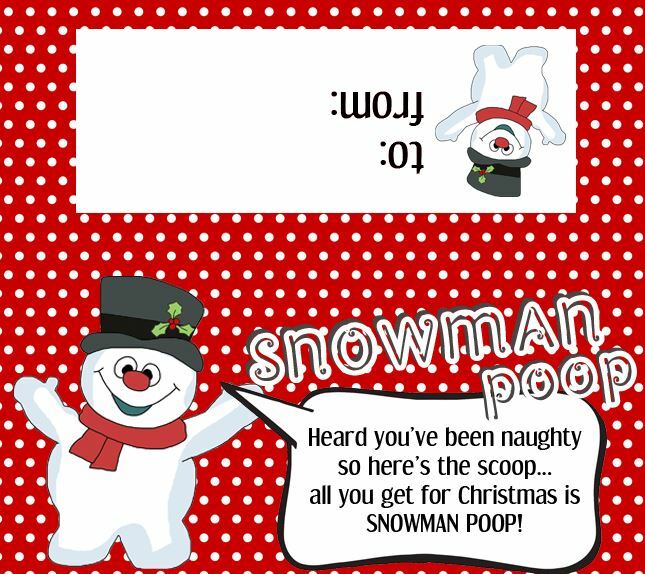 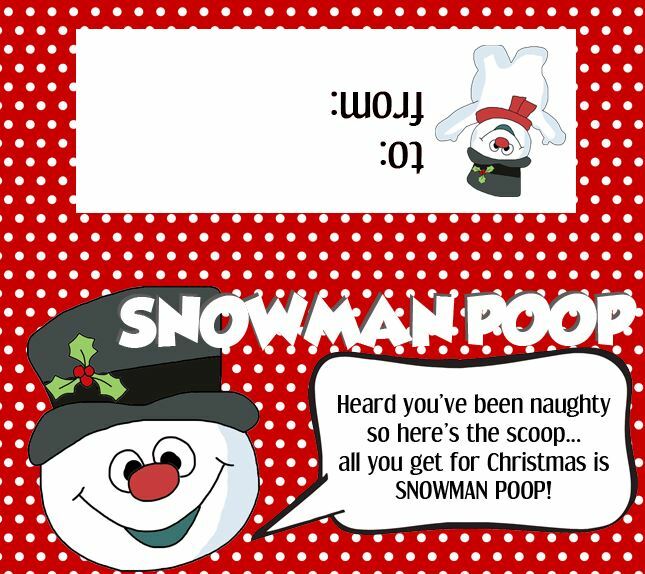 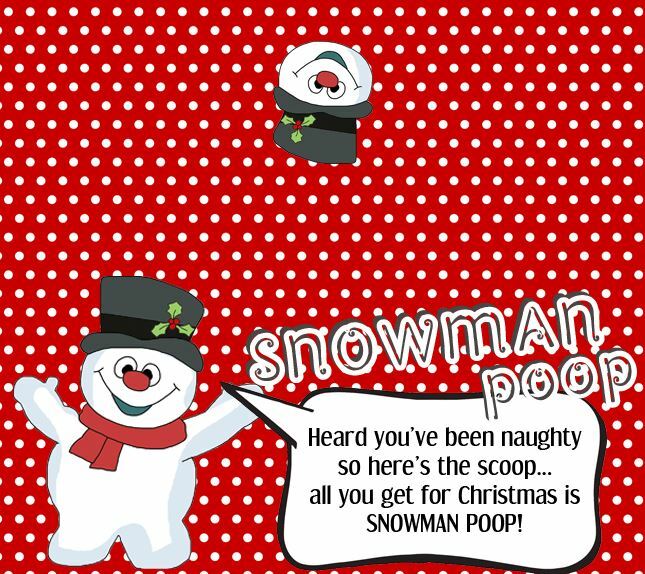 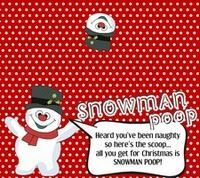 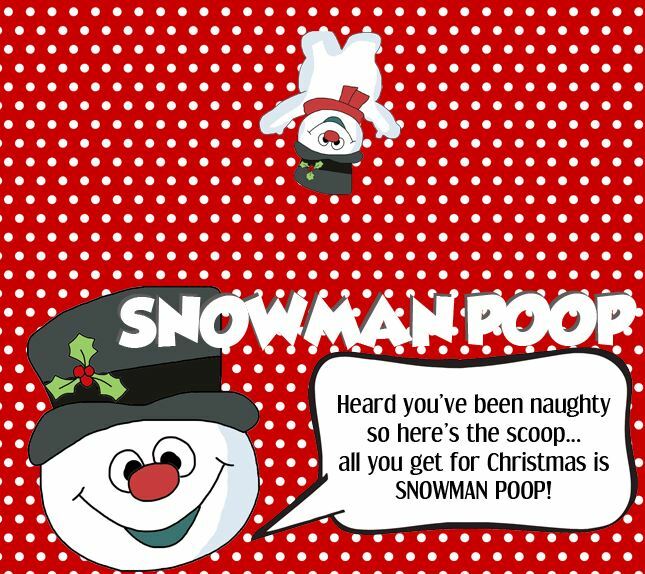 Make snowman poop by printing the bag toppers on this page. 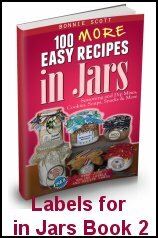 They will fit a resealable plastic sandwich bag. 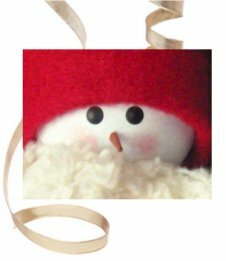 Fill the bag with a handful of mini-marshmallows and staple bag topper to plastic bag (or use double-face tape). 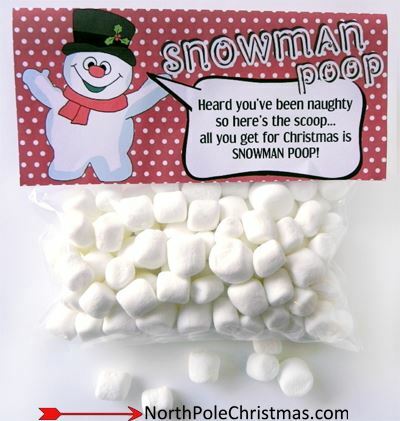 In place of marshmallows, cotton balls can also be used. 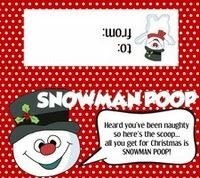 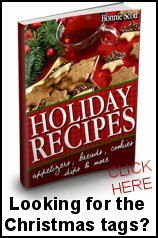 Uses - Christmas parties, presents, party favors, stocking stuffers, classroom treats, gag gifts, co-worker gifts. 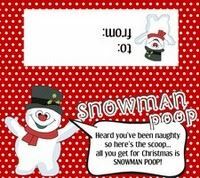 Visit the Snowman Poop Index Page for 10 more Snowman Poop Poem Bag Toppers and Tic Tac Labels.